Hi there! Today I am guest posting over at Victoria's blog, as it seams, for her "From my mother to me", a series celebrating what the older women in our lives have taught us about sewing, and life in general!. Yesterday was Mothers' day here in Australia, so I am really excited to share a bit about my wonderful Mum and how she inspires me every day. 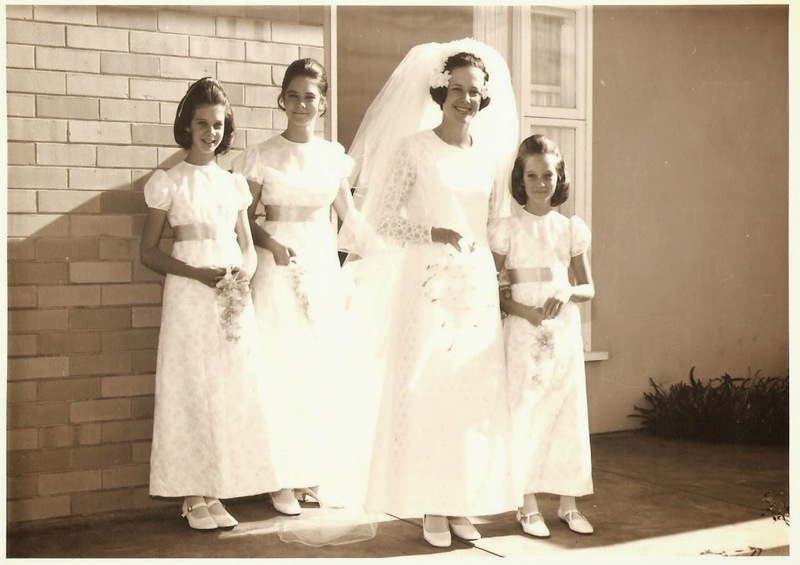 Here is my beautiful Mum on her wedding day with my three Aunties - all four dresses were made by Mum at the age of 23. So cool!